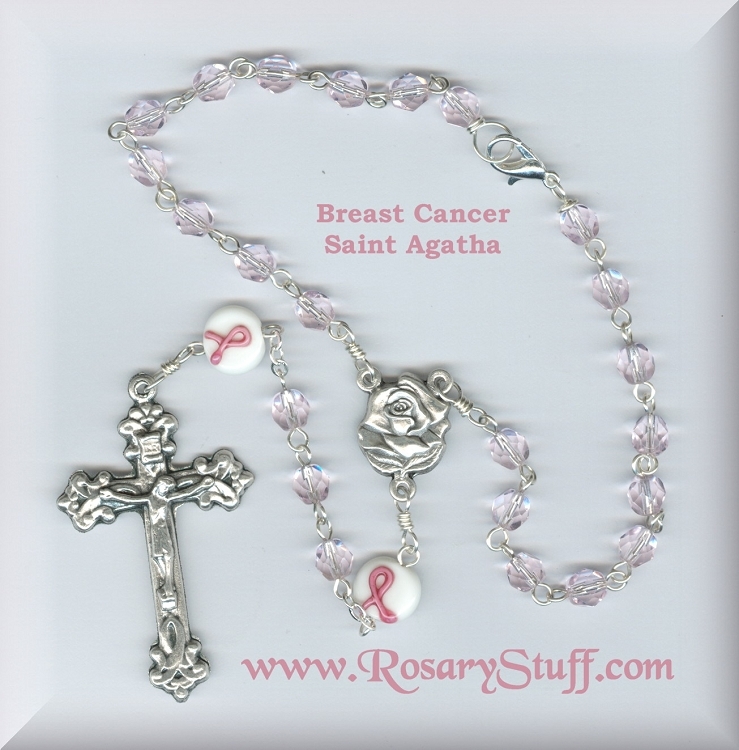 This is my handmade pink Czech glass breast cancer car rosary featuring St. Agatha patron of breast cancer. Unlike other cancer rosaries, this one is fully customizable, and includes my own breast cancer charm created to help raise money for cancer research. 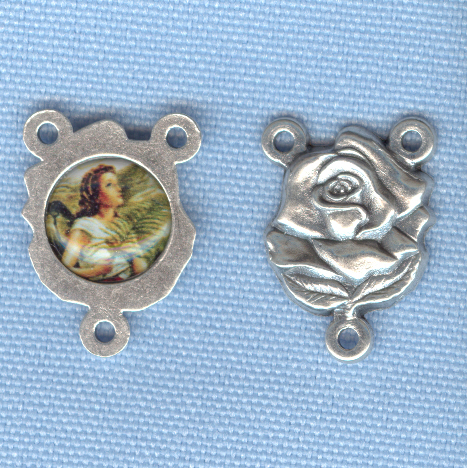 All of my cancer rosaries are ~made to order~, so please allow an extra day or two for completion before shipping. CRUCIFIX: Italian silver plate ornate ribbon crucifix featuring small awareness ribbons on it.